Since we had a couple more weeks in the Bmore ‘burbs, we decided to hit the Maryland Science Center in Baltimore for our last local “Friday Field Trip”. My boys could live in a science museum. They must do All. The. Things. And so we did…spent 7 hours doing experiments, learning about space, weather, circuits, gravity, aerodynamics, dinosaurs, bodily functions and much more. The MDSCI has an amazing IMAX theater too and the movie about hurricanes, tornadoes and earthquakes was amazing. Normally this is a pricey museum, plus Bmore parking is painful too. However, the MDSCI has homeschool days! What would have been a $100 museum visit was only $21. A little post-museum ice cream. Good news for many travelers is that the MDSCI is part of the ASTC museum passport program (the IMAX movies are extra)! If you’re in/near the Inner Harbor of downtown Bmore for a couple days, a couple other worthwhile stops are the National Aquarium, touring the Historic Ships, of course Fort McHenry (get those Jr. Ranger badges!) and an O’s game at Camden Yards. We’ve not been great about playing hometown tourists while living here but did get a handful of cool sites in. 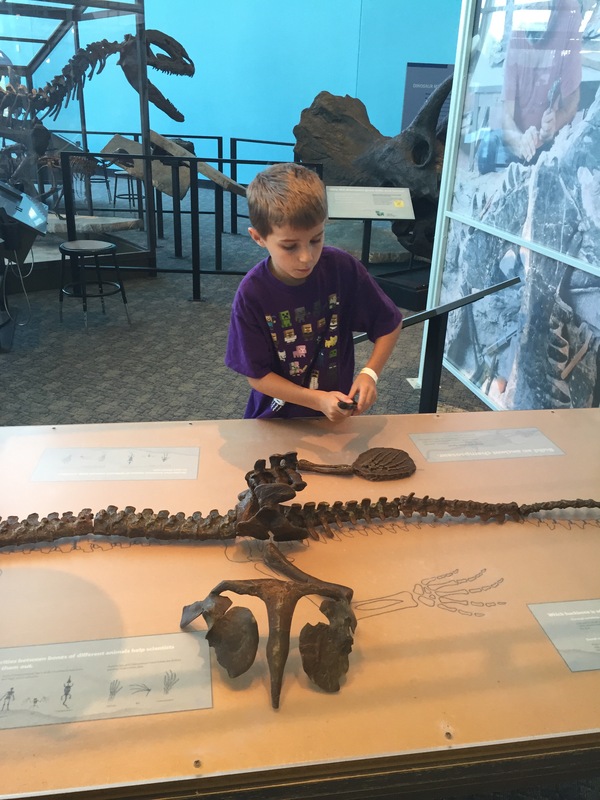 This entry was posted in Field Trips, Kids, Roadschool, Uncategorized. Bookmark the permalink.